Reads R to L (Japanese Style), for audiences T Containing volumes 1, 2 and 3 of Naruto! Twelve years ago the Village Hidden in the Leaves was attacked by a fearsome threat. A nine-tailed fox spirit claimed the life of the village leader, the Hokage, and many others. 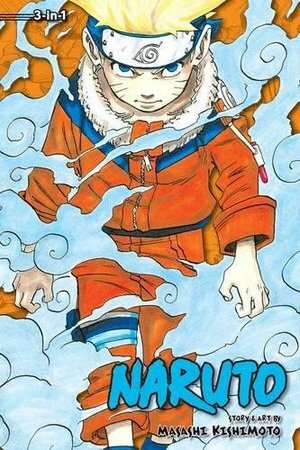 Today, the village is at peace and a troublemaking kid named Naruto is struggling to graduate from Ninja Academy. His goal may be to become the next Hokage, but his true destiny will be much more complicated. The adventure begins now!